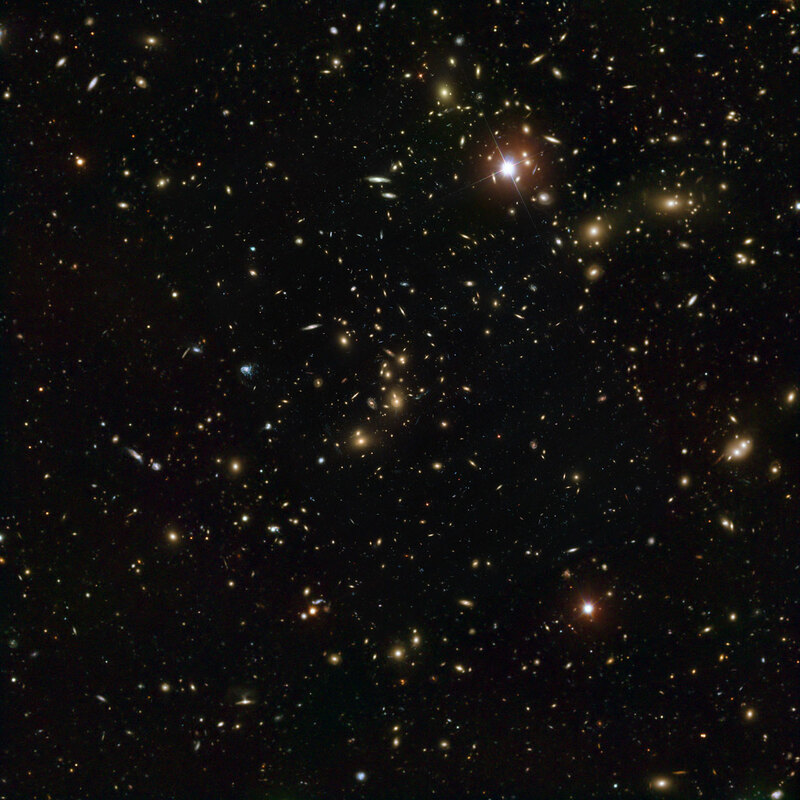 This image of galaxy cluster Abell 2744 combines data from the NASA/ESA Hubble Space Telescope’s Advanced Camera for Surveys, with an image taken with the European Southern Observatory’s Very Large Telescope (VLT). 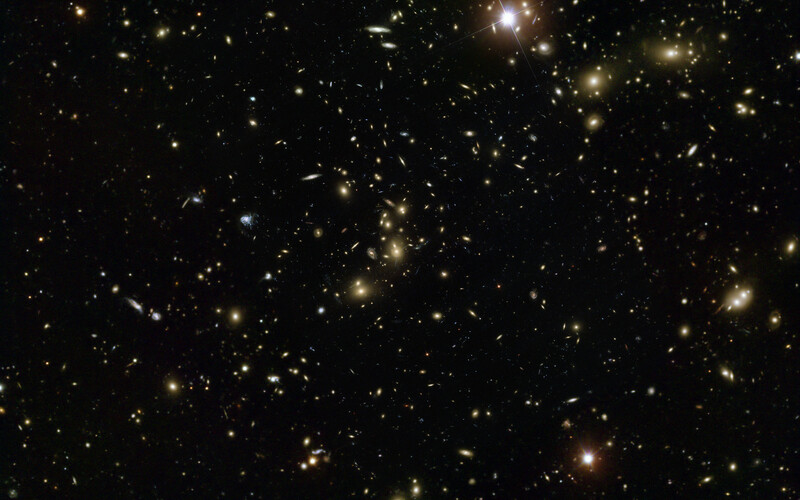 Hubble provides the central, most detailed part of the image, while the VLT, which has a wider field of view, provides the outer parts of the image. This object has been nicknamed Pandora’s Cluster because of the many different and strange phenomena that were unleashed by a huge collision that occurred over a period of 350 million years. 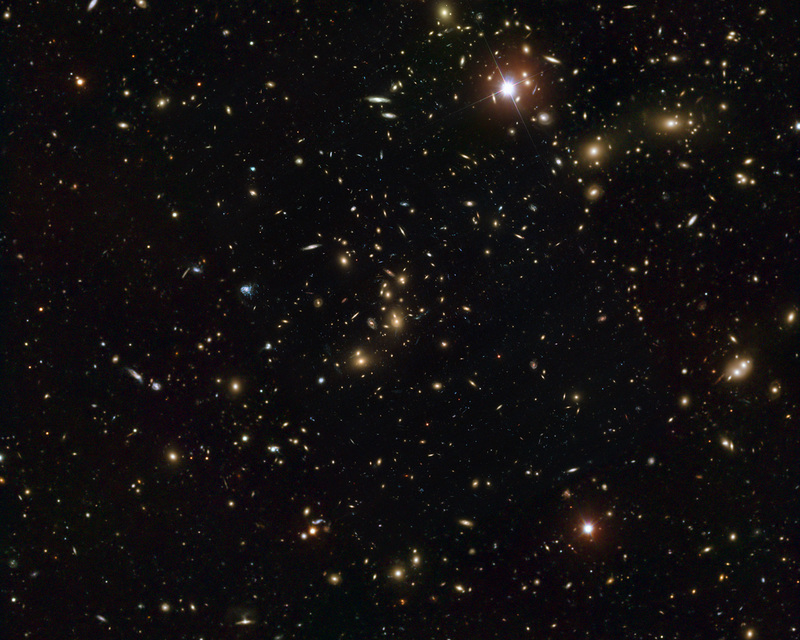 A simultaneous pile-up between at least four separate clusters has produced strange effects that have never been seen together before. 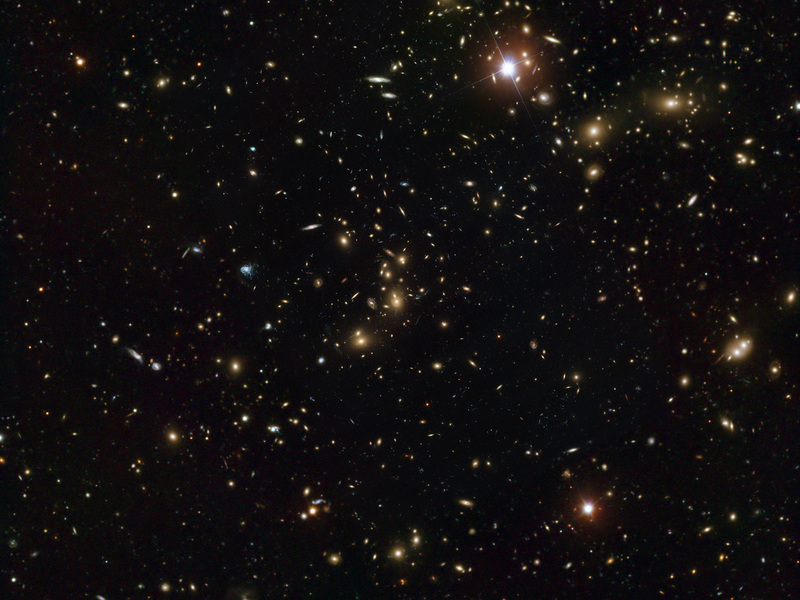 Position (Dec): -30° 23' 59.84"